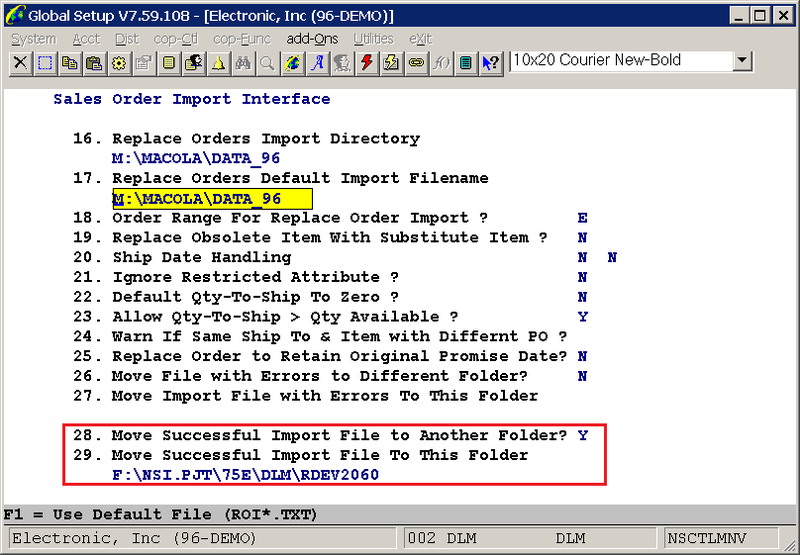 Added the ability to move successful order import files to a separate directory. "Move Successful Import File to Another Folder?" Then, in field 29, enter the path to move the successful files to.